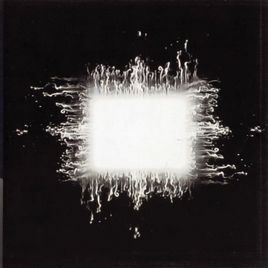 According to Wikipedia, Tool's masterpiece, Aenima, was released on vinyl on September 17, 1996, and released on CD on October 1, 1996. I find the October 1st release date hard to believe, because I vividly remember driving to the local music store on my birthday, September 20th, and picking up my copy of the album as a present to myself. Memories, like so many other aspects of the human mind, are unreliable sources of information. Fortunately for us, though, psychology is a fertile source of artistic inspiration, one from which Tool drew heavily when they wrote and recorded this stunning record. It will be difficult for readers younger than myself to fully appreciate what Aenima accomplished. At the time, there was nothing else that sounded like it. In the rock world, there was grunge (think Pearl Jam's Vitalogy), there was metal (which, in 1996, meant Pantera), and there were a few bands out there doing something kind of... funky (think Faith No More or the Red Hot Chili Peppers). Somewhere at the intersection of those three very different worlds sat Tool. They were drum-heavy and bass-heavy, like the funky bands. They were loud and detuned, like the metal bands. But they toured with the grunge bands. By necessity, they were labeled "grunge" by the A&R people, and that was that. Then Aenima came out, and it seemed to change the landscape. This was, of course, the album that put Tool on the map as a big headliner, but it was more than that. It was the album that finally put metal bands and alternative bands on the same page. As much as it pains me to say it, it was the album that gave birth to "nu metal." Korn, Linkin Park, Staind, none of those bands would have existed were it not for Tool's Aenima album. To be sure, Aenima is not a nu metal album. There are shades of progressive metal and elements of alternative rock, but it is nothing like the ten years of rap-rocking, spiky-haired garbage that surfaced in its wake. But the album put together an important series of musical elements that hadn't really found their way together in a format that stuck before. On a superficial level, it was the soft, almost crooning, vocals paired against unbelievably massive distorted guitar riffage. But on a deeper level, the album managed to capture the best elements of what so many other heavy bands were aiming for and finally channel them into a single stream. Today, for example, we call Tool a "progressive metal" band because of their deft use of complex rhythms. Complex rhythms weren't anything new in 1996, but Tool had found a way to deliver polyrhythms for mass appeal. The guitar and bass played in unison while the drums kept a steady reference ostinato, enabling fans to bob their heads to beats in 5/4, 9/8... even 11/8. A good example of this is the breakdown in the song "46 & 2." For the entire song up to that point, the band plays a simple, familiar, and repetitive 6/8 beat. In the breakdown, they suddenly switch to 7/8, but they do it in such a way that casual listeners never even notice. Underneath the riff, drummer Danny Carey unleashes a fury of quintuplets over the seven-count beat, creating a rather remarkable musical effect. But because the riffs are so well-arranged, most listeners don't even perceive that the beat has changed. They can feel a difference, and that difference is the polyrhythm, but for the most part they just bob their heads. For years, every hard rock band in the business tried to recreate that effect, but the best they could do is use and abuse the three-over-4 polyrhythm that occurs when you mix 4/4 and 6/8 time signatures. That 6/8 component, though, is very telling; it tells me that these bands were inspired by "46 & 2." Vocalist Maynard James Keenan's impact on metal music is undeniable. Before the release of Aenima, metal singers basically had two choices: growl like Phil Anselmo or shriek like King Diamond. Nobody was singing like a normal person if they were in a metal band. Then Maynard came along and showed that a pleasant-sounding, possibly even under-stated, voice could effectively carry a heavy song. Before long, it was Hoobastank by the barrel-full, but that never could have happened without Aenima. Nor was Keenan's impact restricted to radio music - even the metal bands got in on the action. Opeth likely would never have had a career had there not been an Aenima album. The influence is palpable. It's quite possible that no other CD in my collection has been played as many times as this one. I've memorized every beat, every note. It is not my favorite album, but it was a landmark. It was the best and most important thing to have happened to heavy music for years. Today, it sounds as fresh and timely as it did when it was released. Few bands have ever been able to record something with as much staying power - even Sargent Pepper sounds like an emblem of its era. But when you listen to Aenima, you're almost unaware of the fact that it was released before Soundgarden had broken up, before Queens of the Stone Age, before Marilyn Manson. Aenima set heavy music down a path from which it has never branched. It is as much a part of modern rock as the blue note. We're all Keenansians now.